Bobbi Brown Cosmetics is a makeup company based in the United States. Its founder, Bobbi Brown, is a famous makeup artist based in New York City. She, together with her company, have released a wide variety of makeup products, as well as highly popular makeup and skincare books. After graduating from college, Bobbi Brown moved from Boston to New York, where she began to work as a professional makeup artist. She, with a chemist, released her first line of makeup in 1991, a line of lipsticks called "Bobbi Brown Essentials." The success of this line led Estee Lauder to buy the company in 1995. 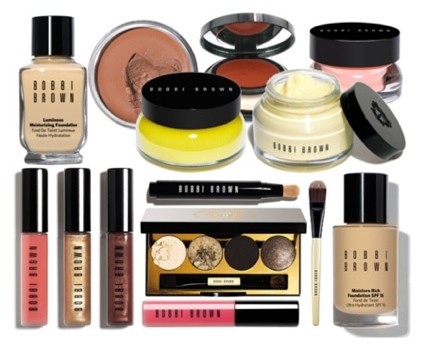 You can find Bobbi Brown products at many high-end department stores, such as Sephora, Macy's and Saks Fifth Avenue. The company's eyeliners, lip glosses and shimmer bricks are very popular with consumers. For high-end cosmetics, they're not that expensive: a blush compact costs $24, while most lipsticks and lip glosses cost $22 (that's $8 more than MAC charges). Bobbi Brown Cosmetics does not test on animals, but others may test on their behalf "when required by law." You can buy Bobbi Brown makeup on Sephora and Amazon.com .